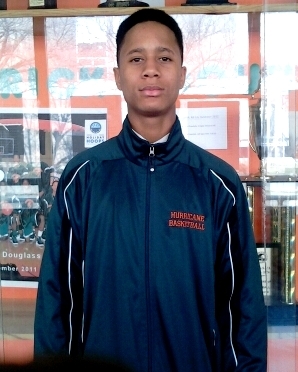 In a sophomore-laden starting lineup, Douglass High 6-2 guard Darrell Davis has distinguished himself as the Hurricanes’ go-to guy during their surge in the Class B state basketball tournament. 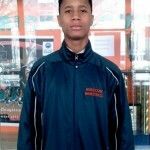 “He’s a very gifted player who can do a lot of things with the ball,” Douglass coach Nkwane Young said of Davis, the Detroit Public School League Proud Strong Learner of the Week. Davis is averaging 14 points and five assists a game, and his value as a scoring leader has rose precipitously in the playoffs since he dropped in 26 points against highly-ranked Consortium in the Hurricanes’ last regular season game. He scored 18 points against Cesar Chavez, added 21 in the district semifinals against University Prep and finished with a team-high 21 again in Douglass’ 69-35 victory against Riverview in the Class B regional semifinals. “I feel good about how the team has been playing,” said Davis, who again will be counted to lead today (March 14) when the Hurricanes (15-9) play Dearborn Heights Robichaud (19-4) in the Class B regional championship game at Livonia Clarenceville. The winner advances to the state quarterfinals at 6 p.m. next Tuesday (March 20) at Chelsea. Davis has been playing organized basketball since he was eight years old. The Hurricanes start four sophomores and they grew up on the court together. Davis, who weighs about 145 pounds, says he needs to improve his strength to maximize his talents. But he’s already drawing interest from major colleges. To take advantage of those opportunities, Davis makes it a priority to succeed academically. He counts his parents as his role models and says they wouldn’t have it any other way. His immediate plan is to try to keep Douglass alive in its bid for a Class B state basketball championship.